Unit 303 of the Mayan Lakes is located on the 3rd floor of Tower 3. The Mayan Lakes complex is just a mile down the road from the Mayan Palace, where you can rest and relax, exploring the Resort bars and restaurants. The Mayan Lakes does offer 3 beautiful pools on the property, but no beach. This condo has 2 bedrooms and 2 bathrooms with accommodations for up to 4 guests. This would make a great vacation home for a small family or two couples. The living room of this condo has a very regal feel with its modern contemporary design and luxury. It is furnished with an olive fabric covered sectional sofa that has a matching fabric covered ottoman, lighted end tables, and a very modern geometric shaped media shelf. The media unit includes a flat screen plasma TV with a DVD player and Satellite. The shelf is adorned with metal fish and figurine like statues. There are two sliding glass doors that open to the terrace where you have a clear view of the beautiful swimming pools. The living room is furnished with a rectangular shaped glass top table with a unique shaped base and 6 braided rattan chairs. The table has a beautiful centerpiece with vibrant colored wax fruit. There as a large wall mounted modern contemporary painting adorning the wall. In the kitchen there are very sleek flat panel alder wood cabinets that have brushed nickel handles, light gray colored granite counter tops and brand new stainless steel appliances. In addition to all the major appliances the counter top is furnished with a toaster, blender and coffee maker. The kitchen drawers and cabinets are filled with all the glasses, bowls, plates, cookware and serving utensils you should need to cook and serve delicious home cooked meals. Also included is a built in breakfast bar that is lined with three modern bar stools with metal footrests. The master bedroom is furnished with a large king size alder wood framed bed with a beautiful modern duvet style bedding set. The room has two matching lighted nightstands and a 6 drawer dresser with an attached mirror. The room also has windows all along the wall that give a clear view to the pool area. The attached master bathroom has a double granite mirrored sink vanity with a walk n tub / shower and commode. The 2nd guest bedroom is furnished with a queen size bed that has a modern duvet styled comforter set and one lighted bed side table. The room includes a dresser and a large dark wood double door closet where you can hang your clothing. The 2nd bathroom located in the hallway has a single mirrored sink vanity with a walk in shower that has a glass door enclosure, single mirrored granite sink vanity and a commode. The condo comes with a laundry room that has a full size washer and dryer so you never run out of fresh clean clothes. The home comes with all towels and linens. You bring the food and drinks and we provide the rest. The home also has very cold AC and heat as well as ceiling fans throughout. You will not be disappointed with this modern Mayan Lakes splendor. You should check now for rates and availability. 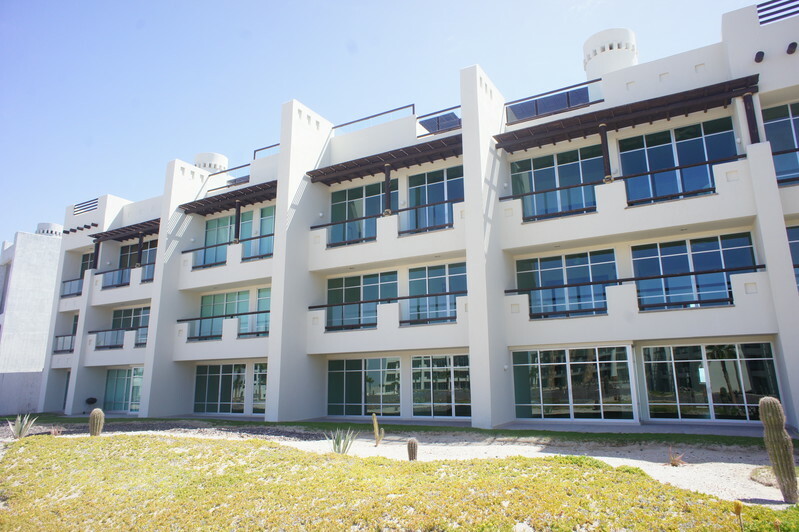 Up on the terrace for each tower you will find a fireplace, a jacuzzi, outside furniture, lounge chairs and a bar. There are no elevators on any tower. No pets, no fireworks allowed. Washer and Dryer available. Guest of Mayan Lakes are welcome to access the store and restaurant of Mayan Palace. Mayan Lakes is one mile away from Mayan Palace.